looking at the RC forum im seeing that planes, cars, heli's quads, boats ect are on here. 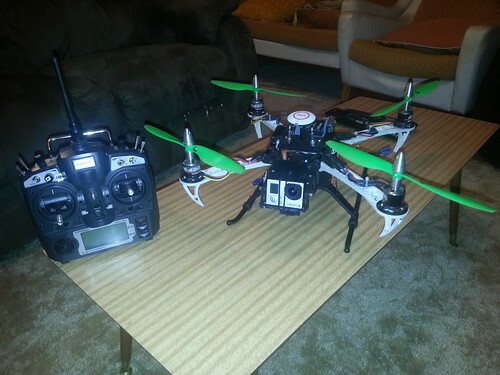 Im fairly new to the world of RC flight but just bought my first quadcopter. I suppose for those interested in getting into quads i would start a new discussion thread. i'm putting together my first quad at the moment based of a DJI F450 frame. Frame is a bit of a test run before a full FPV build. Thats an absolute beast, mind if i ask how much roughly these go for? Looks like a lot of fun with the cam. Speaking of helicopters. i have been trying to find one to support a GoPro 3. Anyone know of any cheap alternatives? Mine has a lift capacity of 5.4kg but that's full throttle and includes frame. In reality frMe weighs about 1.9kg leaving me about 1kg to play with and still have a very zippy copter. I love the things! A lot less setup than heli's and quick and easy to throw in the car to take for a quick spin. If they eat dirt it's usually just a matter of a couple zip ties before it's back in the air. I find the tricopter a lot smoother to fly and better for video, the q450 is way faster and set up twitchier for FPV bashing. which sold me! that's awesome! I've got two of these things I need to finish. One just needs a battery and receiver, the other just needs a battery and the motors. They are both built from the Hobby King catalogue. I might put the wooden frame one up for sale and use it to fund the other. im building 2 more at the moment. 2x F550, one for a mate and one for me. F550 with 6x 890kv motors and gaupner eprop 10" and maybe 11 or 12"
Hey, can you direct me to a site where it gives you the basics to build one? I like the look of the DJI Naza F450 and perhaps later the GPS unit and a camera. I'm guessing that buying locally from a shop is not worth it. 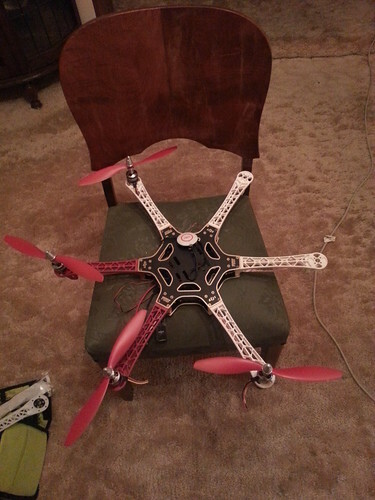 Order the QAV500 frame and some parts yesterday, the rest will be obtained when stock levels return. Going to build it over the next few months as time permits. Ha, cool, I'm in Fitzroy! They're literally 5 mins walk away. Popped into Arkrc, some nice stuff there, DJI 450 kits going to cost around $550, they recommend the Futaba 8J radio for $280.